In 130 years ago, a man came to country named Echigo, the north part in Japan. His name is Chouun Ishikawa. He was born in Edo, where we call Tokyo now. Although he were very gifted craftsman, his arts were not found in Tokyo now. Most of his arts are left in Niigata prefecture. 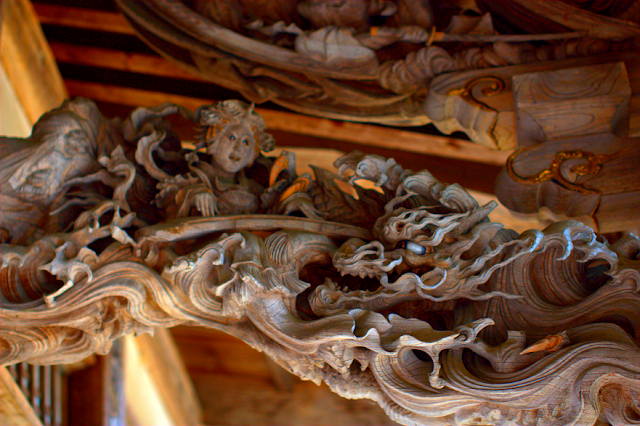 To see his arts, I went to the city named Uonuma. This place is famous as production area of rice. They are very tasty that not only eat as a food, they become raw material for "Sake". Most famous masterpiece of Chouun is placed in a temple called "Saifukuji-temple". 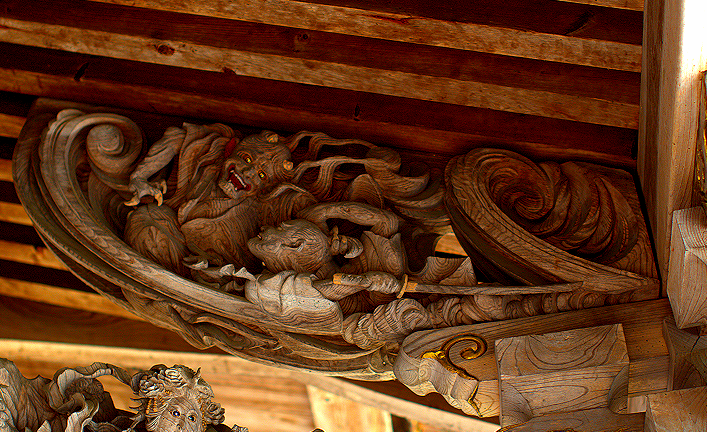 You will find his arts in several places in this temple. 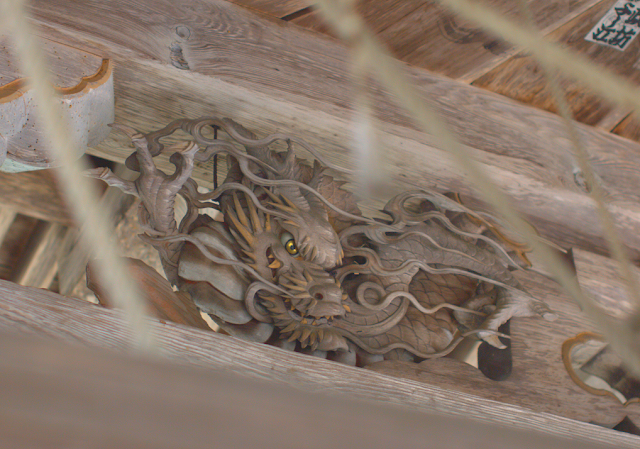 The first art which I liked was dragon sculpture in the bell tower. What his arts great are that the sculptures done so delicate and how they are stereoscopic. They are all sculptured so thin that if people touch them, it may break easily. 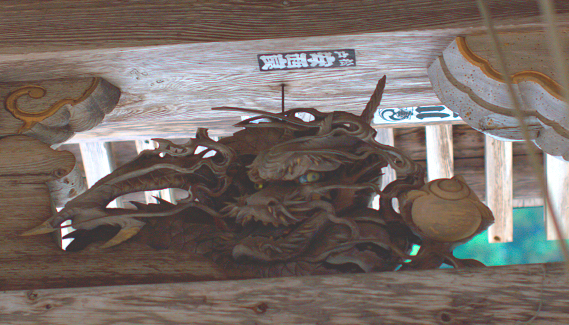 One more dragon was in the opposite side. His expression was little different from first dragon. I thought he has small smile in his mouth. 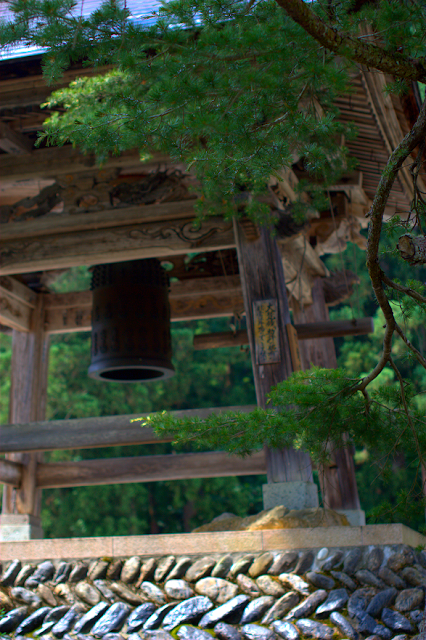 The bell tower seems like this. 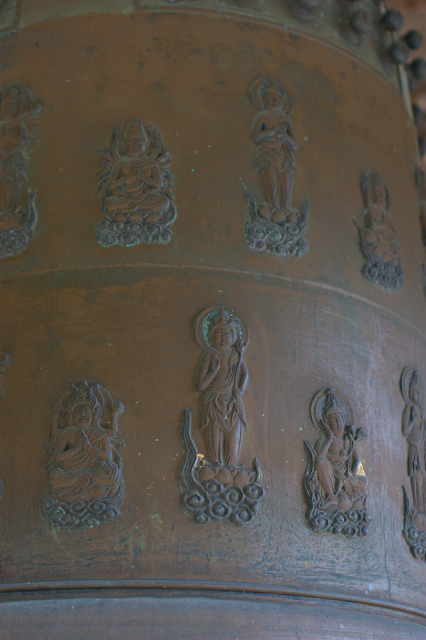 On the bell, there are a lot of carvings of gods. 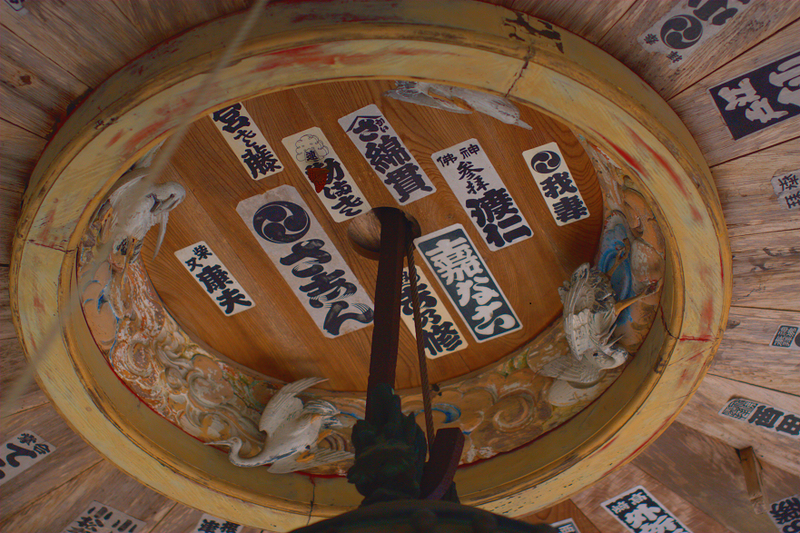 There where cranes on the roof of this bell tower. On the entrance of main building, there where several arts. 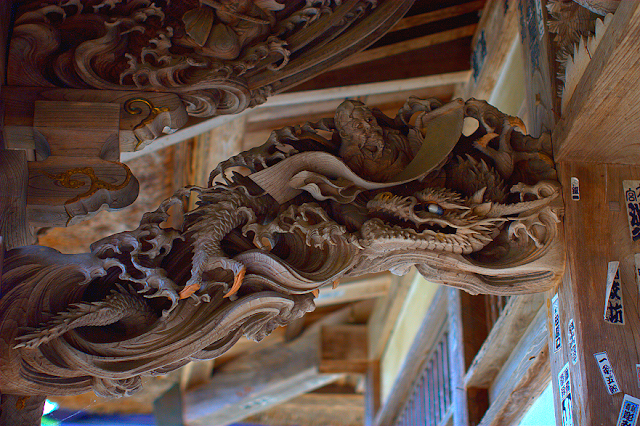 Can you see the old man is unrolling the scroll on the dragon? The Venus is playing Japanese harp on the dragon. Look at whiskers and eyebrows of dragon. Isn't it beautiful? I couldn't believe that it was made by a man in 130 years ago. There where Samurai fighting with goblin. You can see small horns on his forehead. 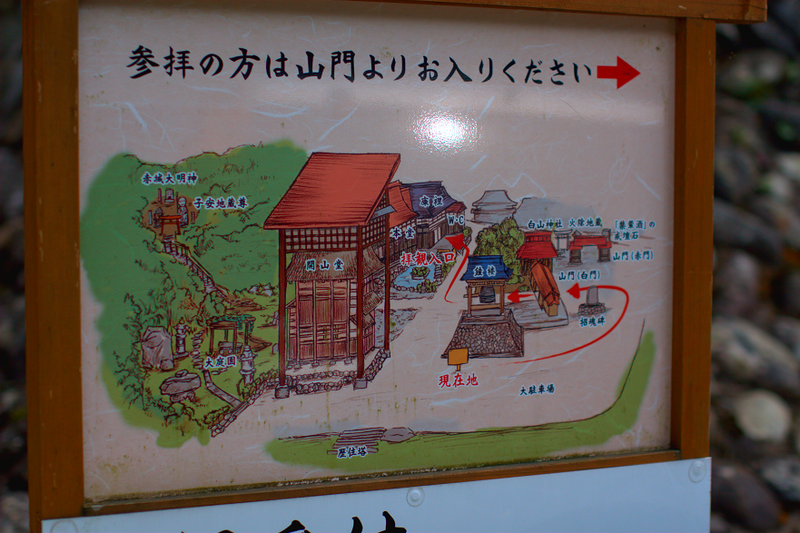 The temple's map is like this. If you are interested, please visit following site. I couldn't get the best arts picture here, but I still got some pictures of others. I will introduce them to you next time.